Stories of the Raksura: Volume One by Martha Wells is a collection set in the same world as the three novels in her Books of the Raksura series (The Cloud Roads, The Serpent Sea, and The Siren Depths, in that order). These stories are two new novellas, “The Falling World” and “The Tale of Indigo and Cloud,” and two short stories also available online, “The Forest Boy” and “Adaptation.” Earlier this month, Stories of the Raksura: Volume Two was released. I have been a fan of the Books of the Raksura since reading The Cloud Roads and being impressed by the inventive setting of the Three Worlds and immersive story. The second novel is also quite enjoyable, and the last novel is my favorite of the three. These primarily focus on Moon, a solitary shapeshifter who does not know what he is at the beginning of the first novel since the only others of his kind he knew died when he was quite young. Left to survive on his own, he discovered that it was difficult to fit in with groundlings (people who live on land). While they accepted him when he was also in his groundling form, they feared him when they saw him in his winged form, believing him to be one of the terrible Fell. He attempts to hide his second shape and integrate into groundling societies but it never lasts, and he’s poisoned and left to die near the beginning of the first novel. Fortunately, he is rescued by Stone, another shapeshifter like him. Stone takes him to the Indigo Cloud court where Moon meets more people like him and learns that he is one of the Raksura, shapeshifters with different roles in their society based on their biology—and specifically, that he is a consort who could possibly become a mate for their young queen, Jade. The novels largely focus on Moon’s adjustments to living in a Raksuran court (which isn’t easy, given his former independence and their ideas about what is appropriate behavior for a consort) and adventures in the Three Worlds with the third filling in some of Moon’s past. These stories are certainly connected to the novels with each story connected to Moon or the Indigo Cloud court in some way, but he only appears in one of the novellas and one of the short stories. Since the first story does provide some details about the Raksura, I think this book could be read before the novels but I would recommend reading the three novels first. 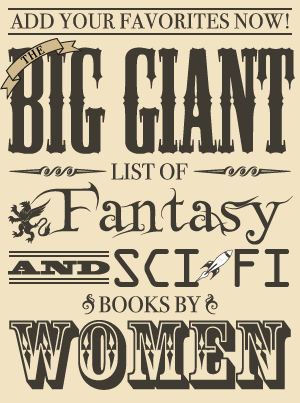 While I enjoyed the collection, I did prefer the novels and I also think some of these stories have more impact if you’re familiar with the major characters. 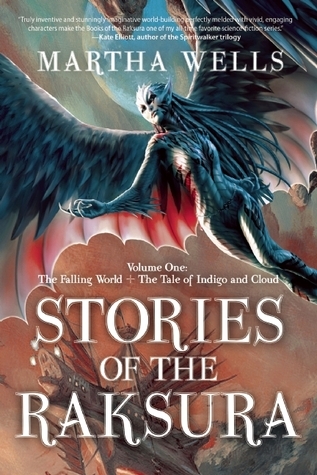 The first story, the novella “The Falling World,” is largely a quest/adventure story set after the end of The Siren Depths. A party from Indigo Cloud, including Jade and Chime, travel to another court to negotiate trade. Twenty days later, a group arrives from this other court to discuss trade and claims the others never arrived—and Stone and Moon decide to gather a group of Raksura to discover what happened to them. While enjoyable, this was my least favorite in the collection. It’s fun to see more of the Three Worlds and the unusual situations that can occur when traveling through it, and this story shows the incredible imagination that goes into the creation and development of this world. However, it didn’t have a lot of character development or great moments with the characters interacting, and I think that’s why it didn’t resonate with me as much as the novels or the other stories in this collection. Even though it was set long before Moon’s time and featured new main characters, the novella “The Tale of Indigo and Cloud” did resonate with me very much and was my favorite story in the collection. Cerise, the reigning queen, is pleased to learn her favorite child and sister queen Indigo has finally chosen a consort—until she learns that she stole Cloud from another queen at the court she was visiting. It’s a complex situation in which the consort was being ignored by his queen and asked Indigo to rescue him, but the other queen isn’t willing to let him go without a fight, and it’s made even more complicated when Cloud can’t seem to decide if he really wanted to be Indigo’s consort or just wanted a reason to leave his current queen. This novella is so absorbing because it’s focused on the characters and the politics of the situation, and I found these characters just as endearing as Moon, Jade, and the main characters from the novels (and it was also fun to see one of the older characters as a young Raksura!). Both short stories are prequels about characters from the novels. “The Falling Boy” details one of Moon’s attempts to fit in with a family before he discovers he’s a Raksura, although it’s told from the perspective of another boy taken in by the same people. I found his difficulties at fitting in heartbreaking in the first novel, and this tale is doubly so since he finds someone who is actually willing to accept him, wings and all, before he has to move on once again. The other short story, “Adaptation” tells the story of Chime’s discovery that he has changed from a mentor into a warrior. It’s an enjoyable story, but I didn’t think it was nearly as good as the other, largely due to feeling like it didn’t reveal much that I hadn’t already learned from the books. Stories of the Raksura: Volume One is an entertaining collection of stories set in the Three Worlds, but I’d only recommend it to those who are already fans of the novels. While I think either would be a decent introduction to the world and characters, I do believe the novels are more engaging and more likely to make one want to read more about the Raksura. Although “The Tale of Indigo and Cloud” is excellent, “The Falling World” is good but not as good as the novels and is also about the same length as the three other stories combined. Where I got my reading copy: I purchased it.